Quick heads up! Missed out DesignerCon 2018? Have no fear as 3D Retro has made the Sofubi T9G RANGEAS Clear Red edition Japanese Vinyl available online. IF you don’t know what they are you must of been hiding under a rock for a while. One of the hottest sofubi toys and crazed fans go nutts after these bad boys. Or literally, give up their nuts. A great chance to give the middle finger to flippers if you act fast as only a handful have been allocated for a Store and online drop. 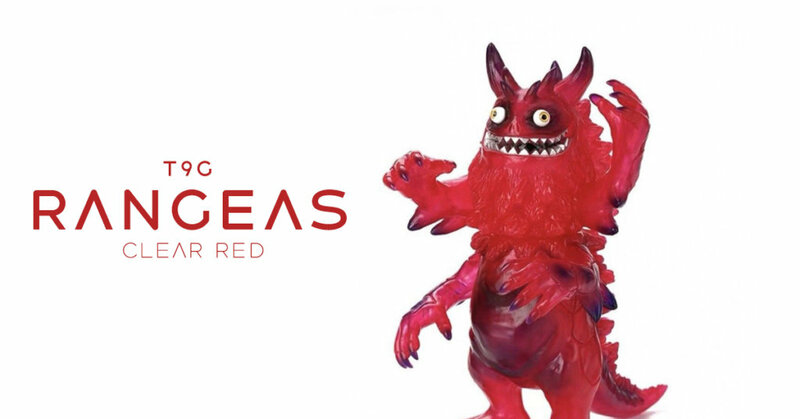 Sofubi T9G RANGEAS Clear Red Japanese Vinyl. Sofubi. Approx. 8 inches tall. Find T9G via Twitter and Instagram.